Climate change is not a distant disaster. Caused by the burning of fossil fuels, unsustainable agricultural practices, the destruction of forests, and excessive levels of consumption, the effects of climate change are now unmistakable in the United States, and even more so in the developing world. We are witnessing increased temperatures, more severe hurricanes, extended droughts, changes in agricultural patterns leading to food scarcity, loss of biodiversity, melting glaciers and rising sea levels, public health epidemics, and forced migration. These adverse impacts of global warming are disproportionately borne by communities of color and low-income communities in the United States and around the world. 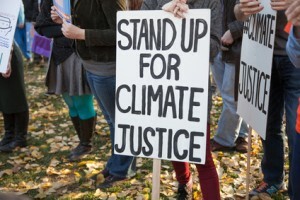 Thus, the Rachel Carson Council works to build strong links between traditional environmental organizing, national advocacy, and the climate justice movement, which has led the effort to underscore that communities and countries exploited through racial and economic inequality are the most vulnerable to climate change. The Rachel Carson Council aims to support and join the mobilization of communities most affected by climate change and to work to reduce income inequality by advocating for the creation of jobs in clean energy, sustainable agriculture, and energy efficiency. Climate change makes building a movement for economic and social justice more urgent than ever. Natural gas has been touted as a path to a less carbon-intensive energy, increased economic prosperity, and more jobs. 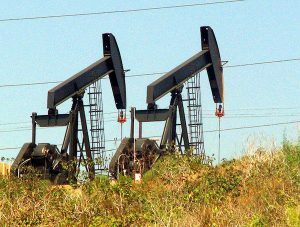 In recent years, however, studies have found that hydraulic fracturing (fracking) contaminates air, water, land, and poses series threats to human health. In addition, fracking waste is more likely to be located in low-income communities of color. Fracking is not yet banned in North Carolina, Texas, or Maryland, but in our next report we seek to expand public knowledge about the Atlantic Coast Pipeline along with the public health and environmental justice threats of fracking and build people-power resistance in all of these areas. The Rachel Carson Council’s new and comprehensive report, Blast Zone, explores the economic and political forces driving the Atlantic Coast Pipeline (ACP), the proposed $5.5 billion, 600-mile structure that will transport fracked natural gas from the Marcellus and Utica Shale Basins to markets in Virginia and North Carolina. Click here to read more.